Once more all decent folk found themselves under attack from the ever hungry and multiheaded mythological beast. 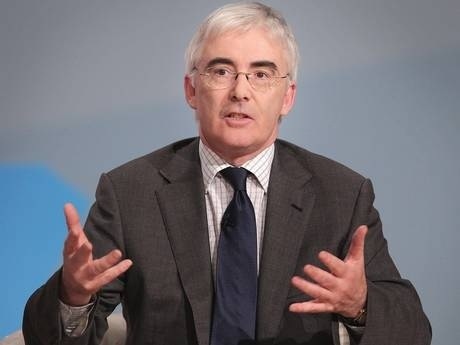 Fortunately Lord Freud was able to defend us all once more from the onslaught of the “undeserving poor”. The daemonisation of the poor is a well documented phenomenon and a tool that is being used to drive ideological political change. “Why don’t they help themselves out of poverty?” We have a situation in the UK where food bank use has trebled in the past year. Lord Freud seems to be of the opinion that food banks are one of the many choices that people mmakes when planning their weekly shop. “We can get some cold cuts from the farmers market, they do that lovely Brussels Pâté. We need to make sure we get to Waitrose on the way home for the loo roll and dishwasher tablets. Ooooo, and we’d best stop at the Food Bank and get some beans for the kids”. The Bishop of Truro challenged Lord Freud on his statements to The Lords. Church Action on Poverty challenged these ideological beliefs five weeks ago. Oxfam challenge this ideological belief daily. Everyone who works with people in poverty challenges this blame culture, designed to shift the focus of blame for the current global economic climate to the most vulnerable in our society. The people who aren’t challenging this are those who are using the myth to drive ideological political change.